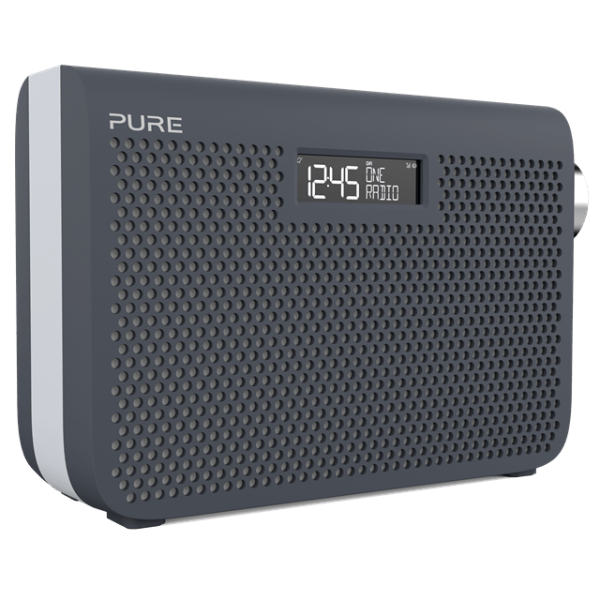 British-based pioneers of digital radio Pure have announced the arrival of the One Series 3s, the style range of the world’s best-selling digital radio family. 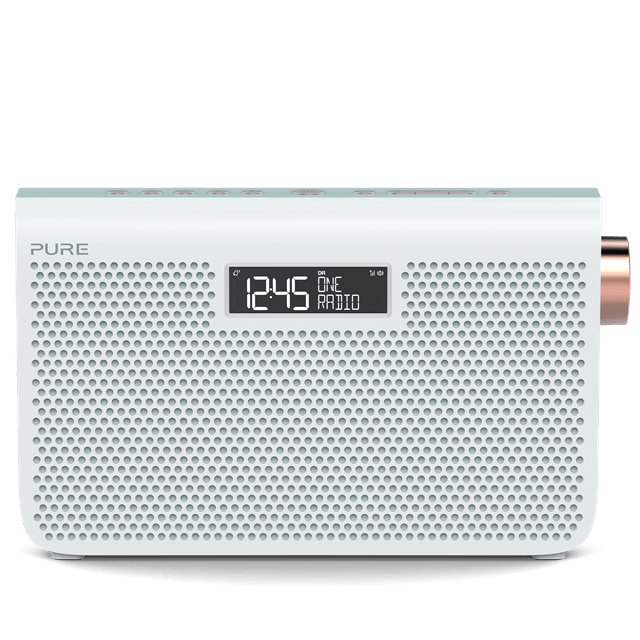 Pure, who have sold over five million radios worldwide since 1999 are launching the One Midi and the One Maxi, both available in Jade White and Slate Blue. The One Midi and One Maxi have a contemporary design that features diamond cut, luxury rose gold and chrome metallic dials. They also feature buttons and telescopic aerials to match. The aim is to ensure that the styling of these radios is as impressive as the sound quality. 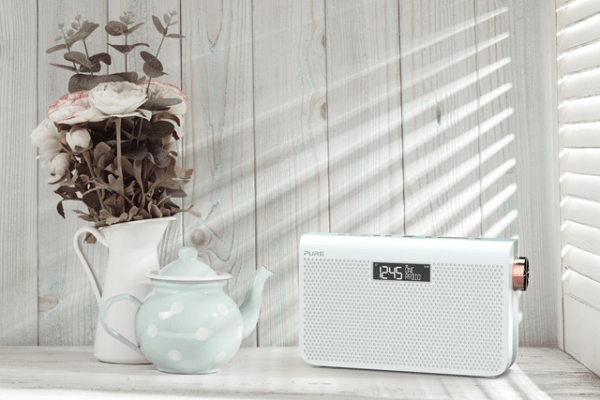 These DAB+ and FM radios offer portability with their tri-power design. They can run on the mains adaptor or by a rechargeable ChargePAK D1 or regular AA batteries. They also have alarms, timers and an Aux-in option for listening from a smartphone or tablet. 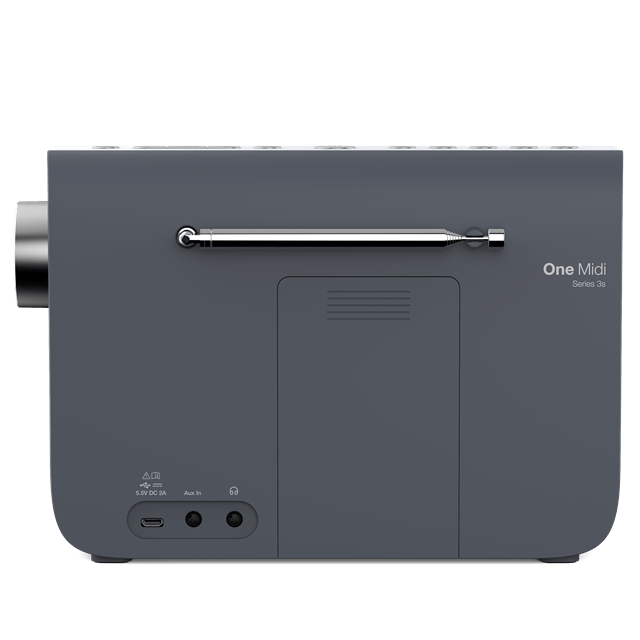 The One Midi is ideal for home use in the kitchen or bedroom. It has a digital sound processor that gives precise audio tuning and tone control offering an exceptional listening experience. 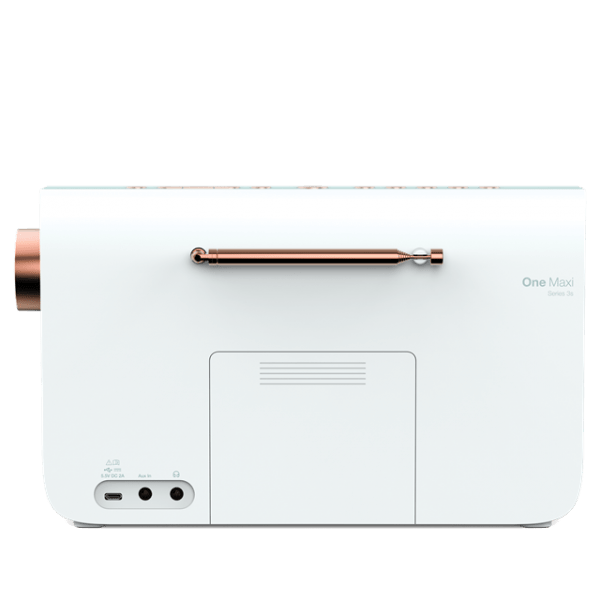 The One Maxi is the largest radio in the One Series and has dual speakers for improved clarity and adds an authentic dimension to the music. The One Midi has a RRP of £79.99 and the One Maxi has a RRP of £99.99. Both come with a three-year warranty as standard. For more information, please visit the Pure website.